Vybz Kartel is what Lil' Wayne is to me in hip hop, or Diddy ... for lifestyle, etc. Vybz is KING of dancehall. Neither do I subscribe to any Gaza or Gully warfare, I just like the music. Just like I had no issue posting Movado's "9 Lives" a couple of days ago. 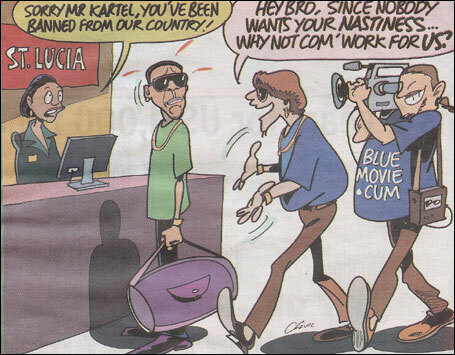 As a Vybz fan, I do not understand the St.Lucian government's reason for the ban and yesterday's "F*** Vybz Kartel (Lucian Diss)" video that was going around.